Severe weather can cause indentations in your roofing materials, siding and gutters. Some of the most common types of roofing problems that arise due to a wind include leaks and missing or damaged shingles. Hail and wind causes about a billion dollars in damage to property each year, according to the National Oceanic Atmospheric Administration. 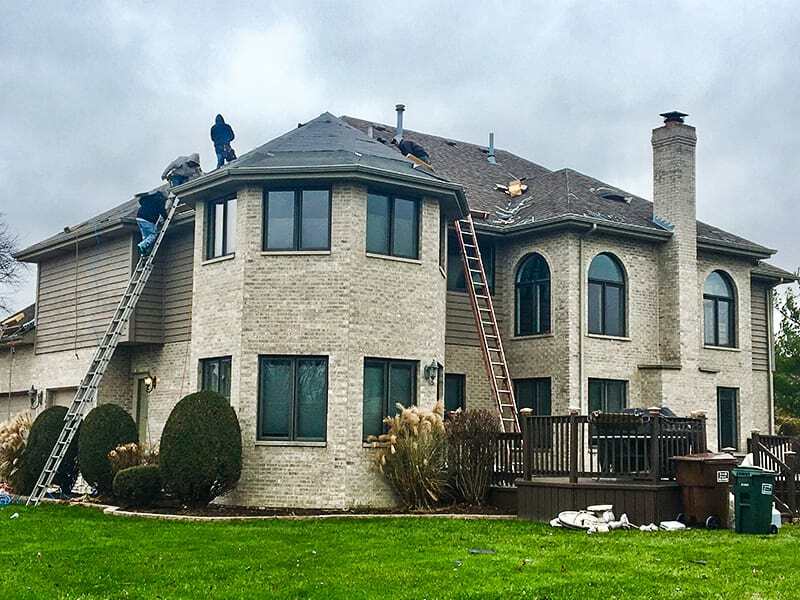 After hail and wind damage, your house could suffer severe damages to the roof, roofing shingles, siding and gutters system of your home in Willowbrook. The National Weather Service says hail must be the size of a quarter to be considered severe, but for homeowners who have just experienced a hailstorm producing small hail or just a windstorm, the damage can be severe. While some hailstorm and windstorm damage is obvious, that’s not always the case. Sometimes, it’s not until Willowbrook homeowners begin to notice mildew, mold, rot and cracked paint that they realize their home has been compromised by moisture getting in through areas of the home damage by wind and hail. If you’ve experienced a storm but don’t see any of the above problems, you could still require a professional inspection. Once a roof is 10 years old or older, roofing professionals actually advise an annual inspection, so you don’t have to wait for a big storm to roll through to schedule an inspection. Roofing and siding professionals know what to look for, even if it’s not visible from the ground. We used Val and the VIS team to repair some storm damage to our roof and siding. We decided to re-side the whole house instead of repair the 2 sides with damage and Val was very helpful with helping us decide which siding options would be best for our home. The team was very efficient and professional and Val himself did some of the major structure repairs that were needed. 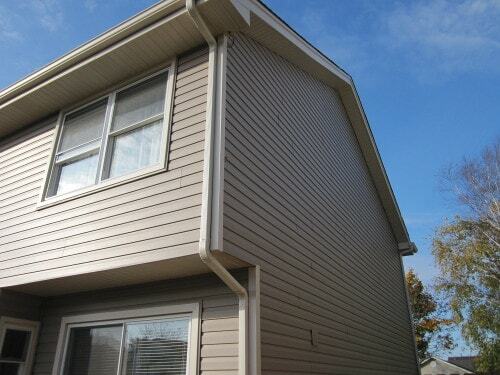 We are very happy with our new siding and even our neighbors love the color. We will definitely call Val for future roofing and window replacement needs. 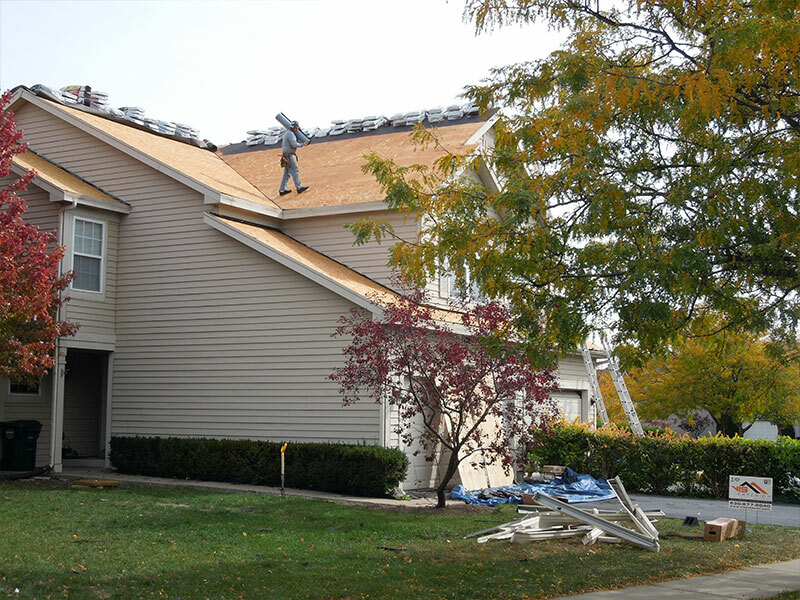 The preferred roofing material for most Willowbrook homeowners is asphalt shingles. These are covered with protective granules that keep the layers underneath them secure from the elements. However, after high wind and hailstorms, those granules begin to fall off. There isn’t always an immediate leak. Sometimes it can take years of punishing storms before anything occurs in the interior of the home. However, once a leak is detected, it’s important to find the compromised area and have it repaired. In some cases, the entire roof may need to be replaced. The longer you wait, the more damage will occur. 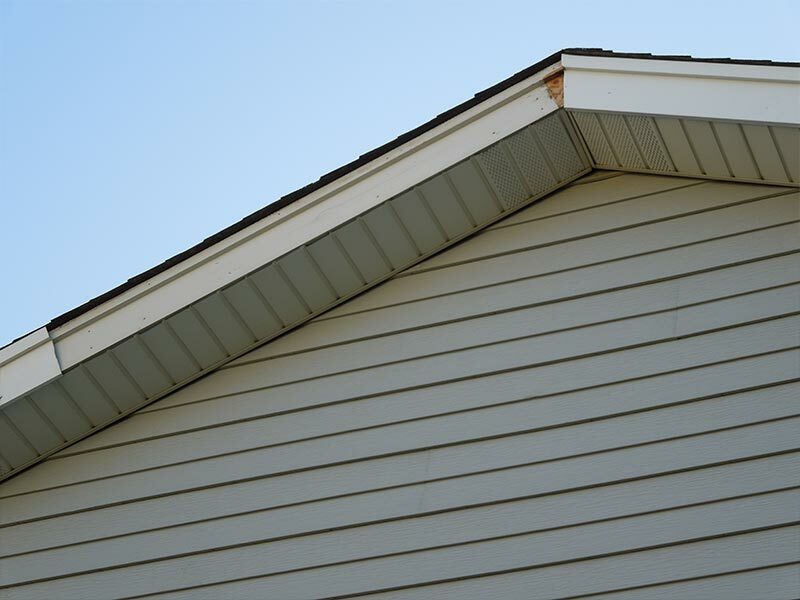 If you have found signs of hail or wind damage, contact a siding and/or roofing professional quickly. No matter how small the damage might seem, it will get worse. 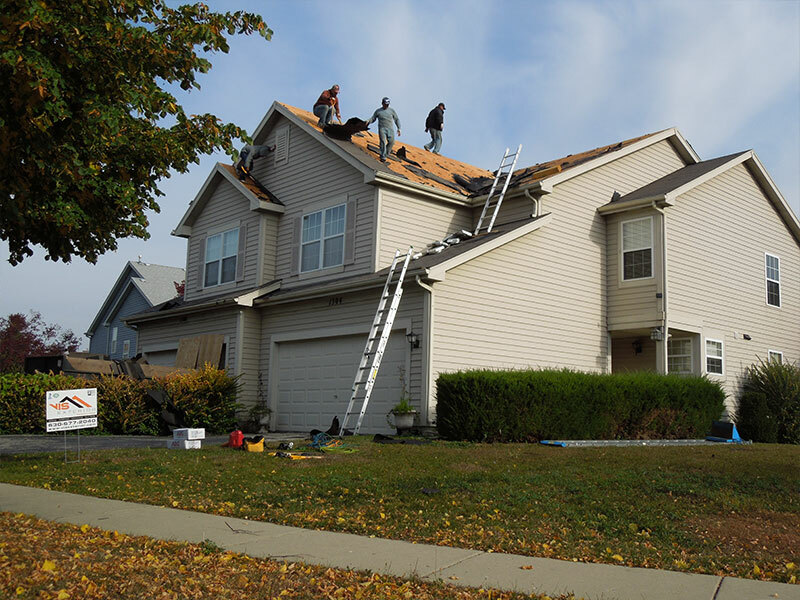 Willowbrook residents definitely have options when it comes to choosing a siding and roofing contractor to tackle their siding or roofing project. However, not all contractors are the same. For instance, VIS Exterior using roofing and siding materials that are made by the best manufacturers, which means our products will withstand more punishing storms than competing manufacturers’ products. 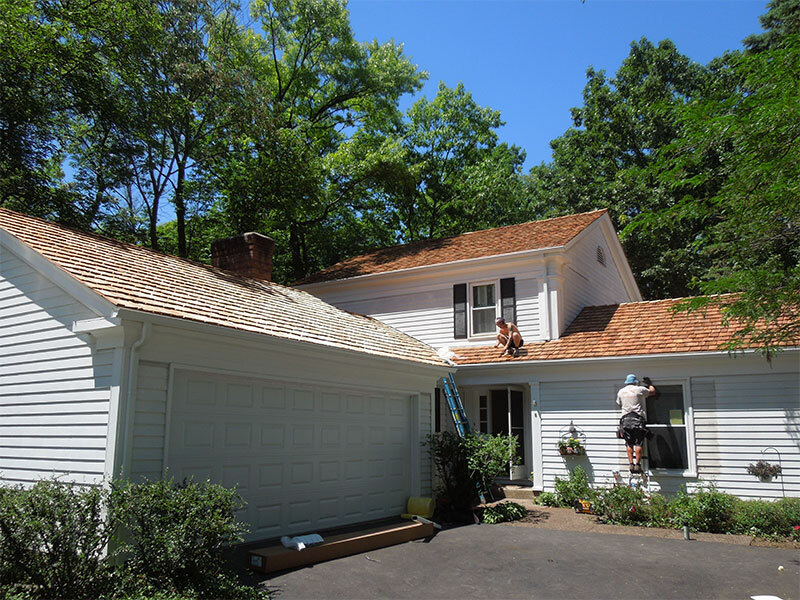 Furthermore, our team of expert installers knows how to work with a variety of roofing and siding materials, including cedar shake. VIS Exterior is licensed, insured and has an A+ rating with the Better Business Bureau. We have a commitment to quality and customer satisfaction. Contact us today at 630-230-8533 and schedule a free inspection of your roof system and siding. VIS Exterior did a smaller siding job for my husband and I last year. We were extremely pleased with the workmanship and professionalism. This year we when we had some major storm damage, they were the first contractor that we considered. The damage involved our chimney, roof, interior damage, window wrapping, siding and gutters. Right from the very beginning, the job was well orchestrated. Each crew had quality materials and knew what their task was. The job in each case was not complete until clean up was done. We couldn’t have ask for more. They exceeded our expectations. We have referred them to another storm victim and we have a new job for them next spring on our home. Thank you VIS for your timely and excellent craftsmanship. Another excellent job done by VIS Exterior. Three years ago we had siding and gutters replaced for our house and detached garage. We were impressed by the quality, speed and how professional and affordable they were, so we didn't hesitate even for a moment who to hire when the time came to replace the roofs. As it turned out our roofs had hail damage and Val was very helpful working with our insurance. VIS Exterior worked very hard, did their job very fast and the result is perfect. We would definitely hire this company again and highly recommend them to friends, neighbors or anyone in need of their services. Thank you very much!